A quick walkthrough, tips, hints, and guide for the fantasy hunting RPG Mobile Game: Monster Gear. Presented by SEGA. - Your first weapon of choice is a guaranteed 3* weapon. - You'll get 2 Subs (AI controlled) as your allies, they fight automatically in battle, so you just need to focus on your Main hero. However, you still need to equip and upgrade their gears to make them stronger. - Follow the tutorial for the weapon you picked to receive another 3* weapon gear. - Gacha Ruins and Gacha Machines: Here you can get another free 4* or 5* gear! Once you are free to click around on your own, here's some tips you might like to do first. - Go to your Home screen and claim all rewards or gifts. - Go to Home > Menu > Scroll down and look for the "Full Data Download" option. Download the full game to play smoothly without any download interruptions later on. - First, let's get some more gears. Go to Home > Menu > Weapon Tutorials. Finish all tutorials to receive all kinds of weapons. Claim from the Home > Missions > Bonus. - Note: If you are using a facebook account, you might as well want to do some more bonus missions to get a 4* set gear. Check this out via Home > Mission > Bonus > Scroll down and look for the Invite Friend tasks. - Open Gear window then go to your Hunter and equip the weapon of your choice. Do the same to your 2 Subs. - Higher star (*) rating, means higher stats, but it is also ok to choose your preferred 3* or higher weapons that will fit your fighting style. - Example: Get 1 Dagger (Sub), 1 Hammer (Sub), and 1 Sword (Your Hunter). Dagger and Hammer are easy to upgrade early game, and you can get a nice Sword from event rewards. All 3 works well together too, but feel free to change any weapon as you go. - Swipe and go to Preset 2/5, select "Equip the best gear" > Unequip All. Do this to all other Presets except 1/5. This will give you full access to your gears, removing the "equipped" label from them. - If a gear is labeled as Your Hunter, Sub 1 or Sub 2, do not equip them since they belong to your Main hunter or other 2 Subs. - To make this easier to understand, just remember that higher star (*) rating is better, and always prioritize 3* to 5* gears. 2* gears are only temporary until you get better ones. - under the same Class and Family: To activate a Set Effect + Helm Skill (bonus stats). - under the same Class: To activate a Helm Skill, a stat that is only available for the Helm gear. - Tap+Hold your helm's portrait to check it's Helm Skill description. Now the catch is, to be able to fully activate the Helm Skill bonus effect, you also need to equip the correct weapon. Use this as a guide when looking for gears to equip, then just follow your Helm's monster Class for your Armor and Arms/Leg gears. - Since you are still a newbie, and only have 2* armor gears, just stick with them until you can farm 3* gears later, but if you have a 3* or higher armor gear, equip them regardless of their Class for now, prioritize your main hunter first. - Go on and continue your quest to increase your level (also increases max Stamina), and gain more better 2* gears and other items. - Just pick Solo for now, explore the Multiplayer option later. - For more info on how battle play works in Monster Gear, refer to the Map, Quests, and Battle Plays section HERE. - Once you get stuck or defeated, refer to the next tips below. - Helpers are listed according to their total Might (stats), the top one being the strongest. Use the Refresh button to re-roll the list. - Sometimes, it is best to choose a Helper that enhances your fighting style. Example: If you want to further increase your stun chance, pick a Helper wielding a Hammer. - If your Helper did well, add him as your friend. Using friends in battle will net you even more Silver Cogs for the Normal Gacha Machine. - As much as possible, only upgrade 3* or higher gears, and use 2* gears as materials. - Sell all 1* gears because using them as upgrade materials will cost you a lot of Gold, especially at higher levels. - When choosing an upgrade material, Tap+Hold on it's portrait to check it's Class. - Always Remember: Only upgrade a Sword with Sword materials, Dagger with Dagger Materials, and so on... to maximize the EXP gained, unless you only want to focus on your preferred weapons, then you may use the others as well. - To even maximize the EXP from your upgrade materials, use the same Class as your Base gear. - To make things easier, only upgrade a Head gear with Headgear materials, Chest gear with Chest gear materials, and Arms/Legs with Arms/Legs materials. Use the Tabs for easier access. - If you don't have any 3* or higher Armor gears yet, just equip armors with higher Star(*) and Lvl, preferably with a Helm that is compatible with your Weapon choice regardless of it's Class and Family for now. - You can also upgrade your 2* Armors for now, to help you complete Event Quest stages that drops 3* gears. - Reserve those toads that are labeled with "For Upgrade" for 3* or higher gears though. - Those toads that are labeled with "For Upgrade" are your best Materials for upgrading. - You can get them from the Quests > Events section if they are open. Hunt them whenever possible to boost your gears! - Silver toads are also common from the Normal Gacha Machine and various after battle quest rewards. - Can be opened by a Silver Key, make sure you have enough Stamina before opening though. - Sell those toads labeled with "For Sell" to get a huge amount of Gold. - The "Gold Toads the Fortune" Event Quest is open during weekends. - Gold toads are also common from the Normal Gacha Machine and various after battle quest rewards. - Can be opened by a Gold Key, make sure you have enough Stamina before opening though. - Also known as Ascension. You can ascend an item up to 4 times. - To do this, you need to use an Identical gear as material when upgrading. It's ok if they differ in Lvl, just make sure that your Base item is your main one. - Best used if you are about to reach the max Lvl limit of a 3* or higher gear. - There are 2 types: Gears are those with "poke ball-like" or square shaped icons, and Souls for those spirit-like icons. - Start from the bottom, hunt 3* gears first until your party is good enough to handle 4* monsters. - Drop Rates for 1* and 2* gears are good, but 3* gears are non existent, yup they don't drop any, only monster Souls for enhancing gears later. - Hunt gears here if you want to farm some upgrade materials and Gold, or advance the quest to unlock more missions and rewards. - If you want to farm upgrade materials for your Hammer and Dagger gears, ACT 2 quests would be your best choice early game. Insectia = Hammer sets, and Beastia = Dagger sets. - For ACT 3, Beastia = Dagger sets, and Aquatia = Bow sets. - Recommended after finishing or near the end of ACT 3. - Here you can find some featured 3*, 4* and 5* event quests that changes after a few days. - Just hunt on a stage that you can complete, then repeat that same stage until you are able to complete some set gears for your party. Start from the bottom to top. - Go for Event Quests according to your weapon choice, you can check the banner for the sample hunter set that you can get. Drop rates are good too! - The difficulty of the stage (ex: Easy/Normal/Hard) also affects the drop rates of gears. - In case your preferred weapon choice is not available, still farm them to at least upgrade your 2* Armor gears to 3*, while keeping your weapons regardless of their Class. - If you are still not strong enough, go and upgrade your gears. - 3* or above gears obtained from the Event Quests will not yield any Hunter Medals when sold, so it is best to use them as upgrade materials if no longer needed. - To avoid selling your precious gears, go to your Gear Chest and select your main gears. - Right above the gear preview, select the "Lock" icon to lock the item. - Go to the Gacha window then scroll down to check it out. - Spin whenever possible, the free 10-Spin bonus appears once every 6 hours. - A nice place to get free gears and upgrade materials. - Farm from Gear Quests: 1* and 2* monsters. - Silver Cogs are earned either by taking a Helper with you on a quest, or your Hunter assists another player as Helper. - Reward from various missions or quests. - Free from Daily Login bonuses. - and from limited quests, events, and or tutorial rewards. - Too bad gears doesn't drop here also, just monster Souls for enhancing gears later, but there is one good thing, a nice amount of Silver Cogs! - These are not useless at least, because you can still hunt them to earn more Silver Cogs for the Normal Gacha Machine. This is your best choice for getting 3*, 4*, and 5* gears! - Earn your Rainbow Cogs first until you can decide which Gacha Machine to focus on. - Choose a Gacha Ruin depending on your preferred weapons. Example if my party is using a Dagger, Hammer and a Sword, then it's best to find a Gacha that gives all 3 weapon choices. Check the Gear Odds option to check it out. - Reward from various missions or quests. Note that in order to open more Missions, you need to finish all existing Missions. - From 3* or Higher Gear Quest Monsters. Rewards Rainbow Cogs upon completion. Complete as you get stronger, focus on what you can complete for now. - Reward by completing all difficulties in the Event Quests. - and from limited quests, events, or tutorial rewards. - Optional: Purchase in-game from the Shop. This is a going to take a while, but keep earning your Hunter Medals, preferably about 200 pieces to buy a set. - Complete them everyday to claim more Hunter Medals. - Sell unwanted 3* or higher gears to get Hunter Medals. Note that some 3* or higher gears will not give any Hunter Medals when sold, like Upgrade Materials and Gears obtained from the Event Quests. - The only 3* or above gears that you can sell are those from the Gacha Machine, and tutorial or mission rewards. - You can trade Hunter Medals here for all kinds of great items. Featured set gears will also expire depending on the date stated. - Warning: Be careful not to sell your equipped gears! - If you can login continuously for a number of days, there are some Limited Time Login rewards that you can claim, giving you free 5* gears! - Try to complete and use them as one of your main gears. - Gear enhancement means imbuing gear with the Monster Souls you get from hunting monsters! Enhancement powers up the gear's skill and unlocks it's true potential. - Change the Order of gears by Level instead or Rarity, this way you'll be able to easily track your currently equipped gears. - Enhance if you already have the required Souls, even if you currently have 2* gears equipped, but prioritize 3* or higher as you go. - Headgears can boost either your HP or Attack, it's good to enhance those early game. Weapons next if you can then, the other armor gears if you have enough Gold. - If you need more souls, you can gather them by doing Gear Quests, Event Quests, and Daily Quests. Note: For beginners, you need to at least enhance 1 gear to open more mission quests and rewards. Orbs are like Gems that can be quipped into Gears to gain extra stat bonuses. To create an Orb, you need Orb Recipes and Monster Souls. - You need to hunt the specific monster until it drops an Orb Recipe. Hunt from Event/Gear/Normal Quests. - Orb Recipes are considered rare drops. It's drop icon looks like a scroll with the monster's portrait in it. - As much as possible, use Orbs with the highest Star(*) rating that can fit per slot, especially for your main gears. It's kinda permanent so choose wisely. - Imbuing a specific soul with an orb raises it's level, augmenting it's stat-boosting effects. - Orbs already affixed to gear can also be upgraded. - To remove an Orb from gear, you'll need an item called Orbegone, purchased from the Shop with Rainbow Cogs. - As you go higher these, stats will also determine how hard or easy your battles will be. - Elemental Attacks are for Weapons, while Elemental Resistances can be enhanced by using specific Armor gears. - Note that some Armor gears enhances certain Elemental Attacks by activating their Gear Burst skill during battle. This is only effective if your Hero and Subs (if the skill applies to all) are using the same Elemental Attack/s or Gear Bursts (mainly from Weapons) as your Armor's Gear Burst skill. - To further enhance the Elemental Attack of your weapon, equip armor gears that will actively or passively increase the damage output of your weapon. 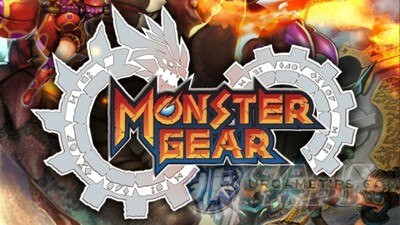 More Monster Gear: Beginner's Tips, FAQs and Gameplay Guides can be found HERE.